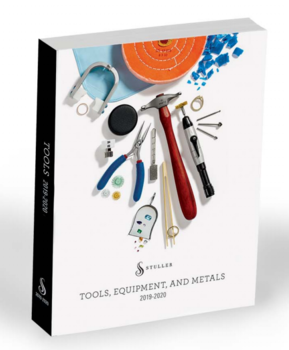 Stuller is kicking off the New Year with the release of its newest catalog, Tools, Equipment, and Metals 2019-2020. * 19 sections, organized by bench jeweler process. * A table of contents for each section. * Color bars by process on each page to help quickly find products.